Virginia Baked Beans are a tasty side dish that is high in fiber. 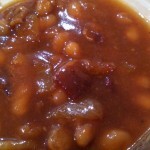 Virginia baked beans are oven baked beans with bacon and onions in a sweet sauce. Try them with grilled burgers or brats. They also make a great addition to BBQ brisket. Fry bacon until crispy, then crumble bacon. Don’t discard the bacon drippings. You should have about a 1/4 cup of drippings left in the pan, if possible. Finely chop the onions, and saute them over medium heat in the bacon drippings until onion is clear (it will brown up a little from cooking in the bacon fat). If you used a very lean bacon (not recommended), you may have to add a tablespoon of oil. 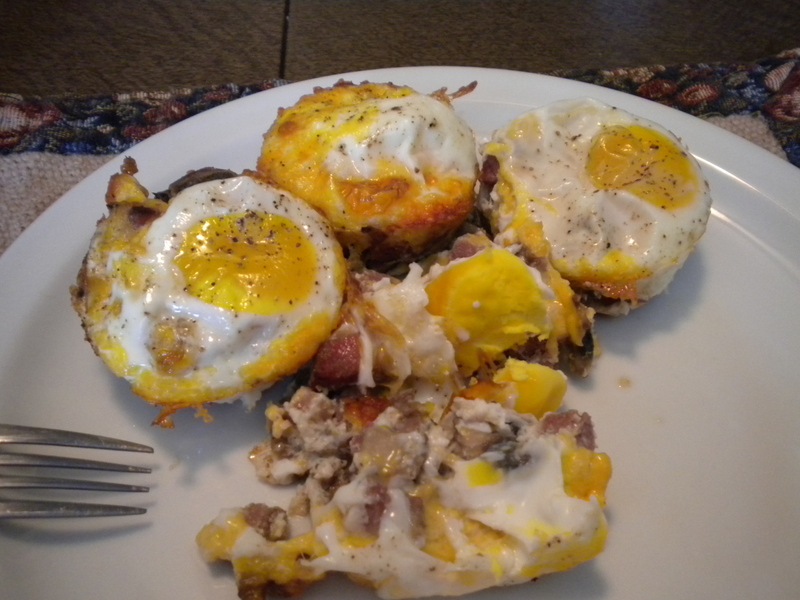 But the bacon fat is really what adds the flavor here. You can also add a little salt & pepper at this point. Now mix all the remaining ingredients together, add the onions (with bacon fat), and crumbled bacon pieces and pour into a 9 x 13 glass baking dish. Cover with aluminum foil and bake for about an hour, (until brown and bubbly). If you like your beans to be a little less saucy, remove the aluminum foil and bake for about another 20-30 minutes, stirring occasionally. This will let the sauce thicken some. This could take up to 45 minutes, as ovens tend to vary. Just remember to stir the beans occasionally. The longer it cooks, the thicker the beans will get. Stir beans before serving. 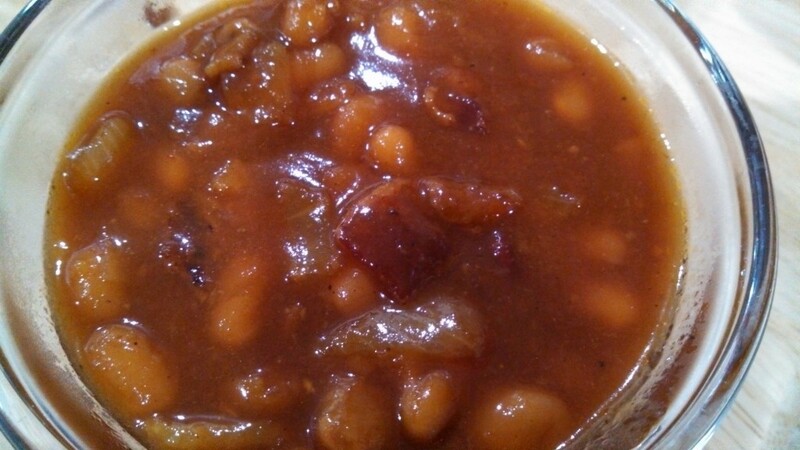 Virginia Baked Beans are a delicious compliment to brats, burgers, and BBQ. Virginia Baked Beans are simply amazing. A baked beans recipe with bacon? How bad can that be, right? We also decided to add a can of butter beans for a little more flavor and texture. Sweet and saucy, these baked beans have a fantastic flavor.